Most of us live in cities and towns that are densely populated with people and buildings. As a result of advanced technology and our rapid pace of living, we are bombarded from all angles by a variety of stimuli. As a result of urbanization, we have become increasingly removed and alienated from nature. As a result of urbanization, we have become increasingly removed and alienated from nature. Zoos and aquariums are maybe created to bring nature into the lives of city dwellers, to ensure that our existence is not completely sterile and concrete. Whether you want to find local zoo in your own country or you’ve traveled to another and want to have a little family adventure, we have the app that will definitely help you! 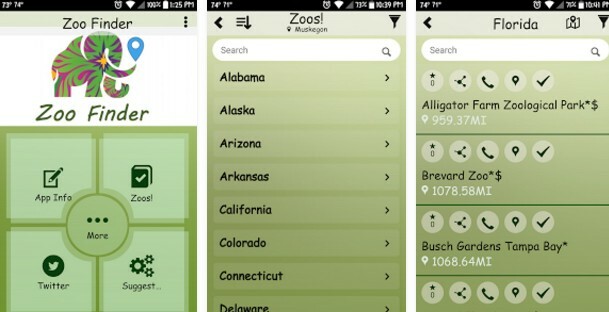 Zoo Finder is a cross-platform app that provides with things you need to find nearest zoos and aquariums. Why We Love It So Much? The answer is simple – Zoo Finder feature-rich, lite, and very easy-to-use app, once you get the hang of it. With it, you can simply search and find an accredited zoo/aquarium by choosing a state (your own or the one you’ve traveled to). Then, the app will provide you with all the info you need, such as name, location, website, map, and phone number of the zoo. 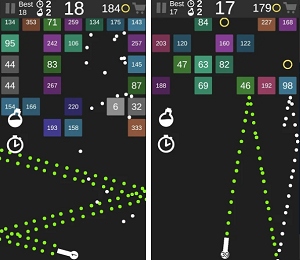 Additionally, the app lets you share your own experience by leaving comments and ratings, it allows you to bookmark zoos, check in at zoos and share them via social networking sites. With many more new and fun features to come, the Zoo Finder app can be downloaded from the App Store and Google Play. Install it now on your device and make your family adventures a lot easier!